Protect your passwords and confidential files. Secure Safe Pro 3.6 was available as a giveaway on April 24, 2018! Difficult to remember all your passwords and logins? Want to use only secure strong random passwords, unique for each login place? Want to keep private files in an encrypted storage? Download Password Manager SecureSafe Pro - it will protect your passwords and confidential files. It keeps all info inside a secure encrypted file on your computer, protected by military-grade encryption standard. Now SecureSafe Pro can work as a true portable app. You can find all the instructions in the installation folder. How would you improve Secure Safe Pro 3.6 ? The same great features as in WinCatalog Personal edition, but for professional/business use. It will automatically scan your disks once and create a catalog of all files from your storage media with WinCatalog 2018 Professional will find files in seconds. While scanning your disks, WinCatalog 2018 will extract thumbnails for pictures, video and PDF files, ID3 tags for audio files, EXIF tags for images, contents of archive folders, and much more. Today only: Get WinCatalog 2017 Professional 50% off ($24.97 instead of $49.95). Generate any quantity of random strong unique passwords in seconds. Passwords, created by people, are not strong enough and cannot resist hackers attacks. SecureSafe Pro Password Generator is a perfect solution if you are concerned about your security and privacy and want to use hacker-resistant passwords (i.e. passwords that are difficult to crack or guess). Get It for Free! Checks the level of strength of your passwords and displays it graphically in a scale "very weak/weak/reasonable/good/strong/very strong". You can use this application to check the chosen passwords strength and use only strong secure hacker-resistant passwords. Get It for Free! Nice software but its not updated (copyright 2014-2015) and most probably vulnerable software that deal with security and encryption need to be up to date with the latest security threats . Somethng that is of a little concern is they have not bothered to update their CHM help file for a LOOOOOOOOOOOOOOOOOOONG time! NOTE: Windows NT 4.0 users may need an updated version of comctl32.dll library and Microsoft Internet Explorer 4.0 or higher. See Microsoft site for the system update information. " You would not find much refernce to Windows NT 4.0 and a needed updated version of comctl32.dll that will run under NT 4.0 any more or any referece to Internet Explorer 4.0 let alone references to windows 98 and ME... and Windows XP or WIndows 2000 as being the recommended operating systems! Would they like to hire me to edit their CHM file for them and bring it up to date? Somethng that is of a little concern is they have not bothered to update their CHM help file for a LOOOOOOOOOOOOOOOOOOONG time! "System requirements: PC with a Pentium II processor or higher OS Windows 98/2000/ME/NT 4.0/XP Recommended: OS Windows XP or Windows 2000 NOTE: Windows NT 4.0 users may need an updated version of comctl32.dll library and Microsoft Internet Explorer 4.0 or higher. See Microsoft site for the system update information. " You would not find much refernce to Windows NT 4.0 and a needed updated version of comctl32.dll that will run under NT 4.0 any more or any referece to Internet Explorer 4.0 let alone references to windows 98 and ME... and Windows XP or WIndows 2000 as being the recommended operating systems! Would they like to hire me to edit their CHM file for them and bring it up to date? TK, does not work under WXP. You can install the program under vista and above and copy the program files folder over to an XP machine and add some shortcuts and it will function just don't forget to copy over the .key file in the giveaway program files folder as it contains the registration data. JardaH, The progams own installer and the program itself both work on XP SP3 just as well as in Vista and above... The giveawayoftheday.com wrapper would not decrypt the installer under XP SP3 suggesting that softdeluxe ltd who digitally sign the wrapper have made some changes to the wrapper and the way it communicates over the https connection (assuming the cannot decrpyt the key error is what you see under XP too) You can install the program under vista and above and copy the program files folder over to an XP machine and add some shortcuts and it will function just don't forget to copy over the .key file in the giveaway program files folder as it contains the registration data. TK, There was no problem with the installation, after the program started, the "first run program" popup window jumped repeatedly every second, even when it was started again. As I discovered, this was how it was run under SandBox. I tried in vmware and it works. Still, thank you for trying to help me. TK, There was no problem with the installation, after the program started, the "first run program" popup window jumped repeatedly every second, even when it was started again. As I discovered, this was how it was run under SandBox. I tried in vmware and it works. Still, thank you for trying to help me. I haven't tried todays download yet again, as I have a program that does this unction and does it very well. It was once given away here, and since I've purchased a lifetime password. It works for all my devices too. It's called Sticky Password. Sometimes you can find it on offer over at stack social, so the lifetime license only costs around £20 if you buy it on sale. Ever since getting it, I'm not even tempted to try other companies products. Richard Sebire, Sticky Pwd has a free version too. It runs for 30 days as the premium version then reverts to free. Major features are the same except for cloud-based integrations which is fine with me. Richard Sebire, This is a review? You state you have not even tried the program, how can you make any judgment of it. Ok so you have another that does the same "unction," how is it of use to others to know that. Richard Sebire, This is a review? You state you have not even tried the program, how can you make any judgment of it. Ok so you have another that does the same "unction," how is it of use to others to know that. I note that the program checked for an update on first run, if it finds one and you update you will more than likely lose the giveaway Pro license! I blocked the internet access attempt by denying it with my firewall. I note that there is no apparent setting to disable automatic update checks so be aware of that situation. Also there is some ambiguity regarding licensing in that although it apears licensed in the Help | About panel there exists buy, register and activate options in the Help menu... and it is unclear if from the text on the Activation wizard that this installation needs to be activated on every installed machine or not! I note that the program checked for an update on first run, if it finds one and you update you will more than likely lose the giveaway Pro license! I blocked the internet access attempt by denying it with my firewall. I note that there is no apparent setting to disable automatic update checks so be aware of that situation. Also there is some ambiguity regarding licensing in that although it apears licensed in the Help | About panel there exists buy, register and activate options in the Help menu... and it is unclear if from the text on the Activation wizard that this installation needs to be activated on every installed machine or not! TK, you said regarding an update on the first run, "if it finds one and you update you will more than likely lose the giveaway Pro license!". I am questioning your "more than likely" phrase. Have you actually tried this, or are you just warning people based on your opinion instead of fact? TK, you said regarding an update on the first run, "if it finds one and you update you will more than likely lose the giveaway Pro license!". I am questioning your "more than likely" phrase. Have you actually tried this, or are you just warning people based on your opinion instead of fact? Kurt, I am basing that statement upon several facts and forming what is called an educated guess/deduction. Some of the facts are standard Giveawayoftheday.com term of service is no automatic entitlment to future free updates (but vendors can choose to disrgard this if they want to but usually state it if they do as that is a bonus to their giveaway) another fact is that this is a protected build of the installer because it was specially built for this giveaway as it comes with what apears to be a single giveawayoftheday pro license and NO actual registration name or key for us to use to activate this or a future version. It is sort of in the vendors short sighted interest to build in a mechanisim whereby a user will be duped at a future date into invalidating the special pre-activated giveaway build by mistkenly installing an update or upgrade without thinking and thereby hopefully prompting them to buy the product because they cannot re-install the pre-licensed giveaway build because it was protected so it could only be installed during the original giveaway slot. Of course those of us that have a strong sense of fair play and morality will find that practice indefensible and against the "spirit" of giveawayoftheday.com sites intentions and boycot that sneaky vendor in the future and may provide them with negative publicity as well. Kurt, I believe he was referring to the giveaways from before..those that did not require a separate activation/license from the company but rather was incorporated into the GCD file..once it was installed from here, and activated, it cannot get an update..if you did get an update, the software either became a brick, or reverted back to a free edition. The same goes for trying to re-install again, should you have an issue..you cannot. Kurt, I believe he was referring to the giveaways from before..those that did not require a separate activation/license from the company but rather was incorporated into the GCD file..once it was installed from here, and activated, it cannot get an update..if you did get an update, the software either became a brick, or reverted back to a free edition. The same goes for trying to re-install again, should you have an issue..you cannot. And nada was mentioned "Awaiting Moderator blah blah"
TK, Gotta love this comment section...I had replied to Kurt before anyone else, yet it shows you responded before me..LOL And nada was mentioned "Awaiting Moderator blah blah"
Kurt, I agree with TK. It has been standard practice not to update GAOTD offerings because apps will not update these within the free status, and if anything changes you will lose GAOTD support. So you would opt for an upgrade, not an update, and pay accordingly unless told otherwise by the developer. Been using Keepass portable freeware for the longest time. There is NO 40 password limit as claimed by some one else in this forum. Been using Keepass portable freeware for the longest time. There is NO 40 password limit as claimed by some one else in this forum. And that is a fact that can not be denied. ricohflex, It was about the free version of Secure Safe Pro 3.6 And that is a fact that can not be denied. Hadrianus, "free version of Secure Safe Pro 3.6"
The Pro version is not free. The free version is not a Pro version. Hadrianus, "free version of Secure Safe Pro 3.6" The Pro version is not free. The free version is not a Pro version. joeri, I'm talking about the FREE version, where you can use up to FORTY keys. And that is more than enough for most visitors. That PRO is only there to convince everyone that this would be better than the FREE version. They do have newer GUI's for all other programs and while Win Catalog doesn't look that great either, SecureSafe completely looks like XP with low-res and ugly icons and a password generator with a big XP logo on it. I'm saying that because i think for 40 bucks the program looks that outdated, it makes me unwilling to shell that amount out for it in case i would want to buy it. It shows that not much has been changed with the program in all these centuries. You eat with your eyes first, as the saying goes. It's not 1990-2000 anymore, sorry. Add to that the possibility of weak spots to get access into the database without password or weakened encryption during the process. Or simply put, backdoors in all forms of all sorts under the hood. Too much paranoia isn't healthy but it's appropriate nowadays. I'd rather stick with open source for encryption, just for the sake of it being under public eye and can easily be audited from anyone, anytime. 2. Fort Professional allows you to show the password as you're typing it in - so you can see that you're not typing it wrong. Secure Safe does not - you'd have to copy it to clipboard and paste is on a notepad to see it. 3. Once you've opened Fort Professional you can select a password and then copy it to clipboard without opening it. Secure Safe requires you to add in a step - you first have to open the relevant password file as well and then only can you copy it. 5. Fort Professional has additional features like encrypting files. 6. Secure Safe has the additional feature of generating a password, however, it was in a separate step, I would've preferred if it was at the place where I'm going to type in the password so that I could generate it there and save it. 7. Secure Safe has additional features like clear clipboard on exit so your password doesn't remain there - Fort Professional doesn't have that. 8. 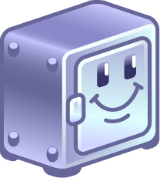 Secure Safe prompts you to create a backup of the file on exit and will do so for you. Fort Professional doesn't. I like Secure Safe as a password only tool, but since I installed Fort Professional and already saved all my passwords there and it has additional features I'll probably keep that one instead (or use the one as a backup for the other). Comparison to Fort Professional that was a give away 3 days ago: 1. Secure Safe has a nicer interface (this is of course personal preference.) 2. Fort Professional allows you to show the password as you're typing it in - so you can see that you're not typing it wrong. Secure Safe does not - you'd have to copy it to clipboard and paste is on a notepad to see it. 3. Once you've opened Fort Professional you can select a password and then copy it to clipboard without opening it. Secure Safe requires you to add in a step - you first have to open the relevant password file as well and then only can you copy it. 4. Secure Safe allows you to sort the passwords in name order and has more search options. Fort Professional doesn't allow you to sort the passwords and has a very basic search (although I didn't need more than that.) 5. Fort Professional has additional features like encrypting files. 6. Secure Safe has the additional feature of generating a password, however, it was in a separate step, I would've preferred if it was at the place where I'm going to type in the password so that I could generate it there and save it. 7. Secure Safe has additional features like clear clipboard on exit so your password doesn't remain there - Fort Professional doesn't have that. 8. Secure Safe prompts you to create a backup of the file on exit and will do so for you. Fort Professional doesn't. I like Secure Safe as a password only tool, but since I installed Fort Professional and already saved all my passwords there and it has additional features I'll probably keep that one instead (or use the one as a backup for the other). JJ, not gone through all your points but your point 2, you can set Secure safe to mask or unmask the passwords you type when populating the password database in the Service | options | Apearance tab dialog "Mask passwords" which is enabled by default as a more secure way to enter a passphrase but you can easily disable the security feature and make it like Fort Professional in that respect! The only problem with this type of program and it is if it goes bad or you have to reinstall you will have to pay for the program to get your data back. If you don't have a problem with that then it's ok. But there is free software that does the same function. Chuck, if the program becomes incapable of inputting stored passphrases to certain key programs due to to changes in those programs user interfaces than you can always export all the passphrases for the programs and take them to another product or start managing them manually again instead of paying for a new update. You can also import login credentials using a CSV file too. And change the master pass-phrase if you just cannot get on with a badly thought out master passphrase and need to try something complex but more memorable like "The c@ sh@ 0n the m@!" Chuck, SecureSafe allows read-only access to the passwords even if it is not registered, so you haven't pay if you need to reinstall it. At least, you will always be able to recover your passwords for free. I will always stick with my version of PiNs freeware, I have not found a better password keeper and rely on it often. PINs is a free feature-rich Windows program for safe and comfortable storing of any secure information like passwords, accounts, PINs etc. PINs uses a secure 448 bit Blowfish algorithm to ensure the data are not crackable. The password used for securing access to stored data is not saved anywhere. PINs does not require installation and does not need any special dlls, drivers or system files which can mess up your system. This means that PINs can run directly from floppy - including data files - without installing anything. This is extremely useful if you wish to easily access your data on other computers as well. •Secure 448 bit Blowfish encoding. •Unlimited number of entries and data files. •A clear tree-like data organization which allows logical grouping of systems and accounts. •Automated login into Internet services (SuperPaste). •A powerful random passwords generator. •Safe files wiping using Gutmann, DoD and custom methods. •Unlimited in size, multi-line descriptions. •A flexible data import/export in text format. •Multiple user accounts on a single PC. •Accounts sorting using any column as a sort criteria. •Comfortable accounts adding, editing, and deleting. •Compatibility with popular clipboard extenders. •Copy logins and passwords to the Windows clipboard. •Running from a floppy without saving settings to registry. One can wonder what is the benefit of a software that promises to create and maintain well-protected passwords against hacking, if entering the same program requires a password that the user needs to create, remember (!) and enter every time he enters the software? If so, what is the benefit of this software? It seems that the only thing that can help protect against exposing passwords is to create a software that will be accessed with a fingerprint of something like three different fingers and in the sequence you choose. To the best of my knowledge and understanding, as of today there is no way to overcome such a barrier and break it. Jay Shell, so you are using the benefit of this program - a single password to remember - to find fault with the program? That's a bold move, Cotton! If you leave your house key under the mat, then you almost deserve to be broken into. Likewise if you use a simplistic password - the ONLY password you would have to remember - as your key to get in. Most people are unaware that you can use the space character in passwords. That opens up a whole realm of possibilities. So instead of your complicated 23 character password that, admittedly, very few people would remember, I have a 24 character "password" that is a sentence that I will never forget. Something else to keep in mind - a tool is only a useful as the person using it. Jay Shell, so you are using the benefit of this program - a single password to remember - to find fault with the program? That's a bold move, Cotton! If you leave your house key under the mat, then you almost deserve to be broken into. Likewise if you use a simplistic password - the ONLY password you would have to remember - as your key to get in. Most people are unaware that you can use the space character in passwords. That opens up a whole realm of possibilities. So instead of your complicated 23 character password that, admittedly, very few people would remember, I have a 24 character "password" that is a sentence that I will never forget. Something else to keep in mind - a tool is only a useful as the person using it. The main point of my rambling should be this: you are trying to find fault with a program, based on your assumption that people are simpletons and will leave the barn door open. Kurt, The fact is that people ARE a lot of simpletons who often write their information on the windowpane of their front door and to posit otherwise is to presume Santa Claus exists, simply because so many talk of him. In a career of IT "crash" work, I have seen passwords written under a blotter, inside a desk drawer, on the bottom of a phone set, under a keyboard, in a rolodex (marked "PASSWORDS") and the ever-popular and totally un-discoverable .TXT file in any number of covert locations on the C:\ drive (documents, correspondence, take your pick). Leave the door open? Mate, they tie the horse to the hitching post and then go in for breakfast. Kurt, The fact is that people ARE a lot of simpletons who often write their information on the windowpane of their front door and to posit otherwise is to presume Santa Claus exists, simply because so many talk of him. In a career of IT "crash" work, I have seen passwords written under a blotter, inside a desk drawer, on the bottom of a phone set, under a keyboard, in a rolodex (marked "PASSWORDS") and the ever-popular and totally un-discoverable .TXT file in any number of covert locations on the C:\ drive (documents, correspondence, take your pick). Leave the door open? Mate, they tie the horse to the hitching post and then go in for breakfast. Jay Shell, being a network engineer I can tell you that the problem with password remembering is NOT password complexity it is what I call situational memory i.e. when presented with a familiar interface and environment and having used that interface for a particular customer the brain triggers what some calls muscle memory of the password entering and one does not have to completely recall the passphrase consiously before begining to type just be familiar with that context of login entry and muscle memory takes over. One can recall quite complex character sequences that way if one has done it many times and it has become routine. It only works for a limited number of aplications and passwords so having to do the same for twenty different services or more on ones computer and some of those are only used once or twice a year would be impractical and without password managment software one is tempted to reuse passphrases across different services or use facebook login or google or twitter logins across multiple platforms to reduce the number of login credentials to have to learn which are both bad for many reasons. Re-typing a single login credential at the start of every session and only having to learn that login using muscle memory is relatively easy and after a few faltering starts most people will adapt and find how automatic that single login is regardless of how complex the passphrase has become. Bbviously unnatural characters that can only be input by using ALT+number pad keyed number are less likely to be guessed over conventional keyboard special characters but they do get in the way of muscle memory especially when facing different keyboard layouts and numb-lock default settings. vince brennan, I too work in IT and have seen the likes of which you describe. As they say though, "Don't hate the player, hate the game." People resort to writing their passwords down (have yet to see one on the windowpane of their front door, but perhaps you have?) is because of the absurd "rules" the industry imposes on passwords. Even the guy who suggested we use complex passwords (upper and lower case, at least one number, a special symbol or three) later said Forget it, it's not worth it. If we, as an industry, remind users that a space character can be used, and suggest the use of lengthy yet memorable phrases or sentences as pass codes, I believe a lot of the angst towards "complex" passwords would be alleviated. vince brennan, I too work in IT and have seen the likes of which you describe. As they say though, "Don't hate the player, hate the game." People resort to writing their passwords down (have yet to see one on the windowpane of their front door, but perhaps you have?) is because of the absurd "rules" the industry imposes on passwords. Even the guy who suggested we use complex passwords (upper and lower case, at least one number, a special symbol or three) later said Forget it, it's not worth it. If we, as an industry, remind users that a space character can be used, and suggest the use of lengthy yet memorable phrases or sentences as pass codes, I believe a lot of the angst towards "complex" passwords would be alleviated. The one it generated for me: "greater buy feature plastic". Change f to 4, add ! to the end and you will get even more security. Jay Shell, create and remember good 4-word password, it will be quite good to crack and since you need just one password to remember (for the password manager), you can remember it easily. Try this tool for that: http://preshing.com/20110811/xkcd-password-generator/ The one it generated for me: "greater buy feature plastic". Change f to 4, add ! to the end and you will get even more security. Michael, I personally would NEVER advocate using an online pass-phrase generator no matter how clever the webmaster seems to be in generating the passphrase. No visitor knows who is controlling that server at the moment of use and your wonderful supposedly secure from brute forcing or dictionary files and rainbow file attacks may be being harvested to be added to the next generation of rainbow files and dictionaries by the webmaster or by a criminal hacker that has owned the server behind the scenes or a state inteligence agency is monitoring the site or running it as a kind of honeypot for people wanting secure passphrases but don't know how to compose them themselves. Just because you suspect some people may be out to get your secrets does not always mean you are paranoid... They are out to get what traditionaly was your secrets for at least commercial and marketing purposes and that's the "good guys" like google, yahoo, Microsoft, Facebook, twitter etc etc the criminals are doing it for purely self-serving commercial reasons. With all due respect, it seems so far that most of the respondents missed the main point of weakness I pointed out: the user's own password is the only one to enter the software, and he is supposed to define it as one which, according to its composition, will be hard to crack. If his password is attacked by hackers who devote enough time to process it, it is safe to assume that at the end of the day they will crack open the password locker, in which they will find piled up together All the keys to ALL the secrets and properties of the person who trusted the software (and the said one amongst them!). No less important: those answers ignore the great hassle of repeatedly typing the same complex password each time the user wants to enter the vault and find a password to enter any software or site. Usn't that a hassle for itself? I did not call to refrain from using this software or any similar one. I said we have to find an easier and safer way to enter, and this (as I wrote) by fingerprinting! On the contrary, I am waiting to hear your reactions and ideas about this idea. Won't it be smarter and easier to let you enter the vault with your personal fingerprints, rather than typing time and again a long and complicated password? With all due respect, it seems so far that most of the respondents missed the main point of weakness I pointed out: the user's own password is the only one to enter the software, and he is supposed to define it as one which, according to its composition, will be hard to crack. If his password is attacked by hackers who devote enough time to process it, it is safe to assume that at the end of the day they will crack open the password locker, in which they will find piled up together All the keys to ALL the secrets and properties of the person who trusted the software (and the said one amongst them!). No less important: those answers ignore the great hassle of repeatedly typing the same complex password each time the user wants to enter the vault and find a password to enter any software or site. Usn't that a hassle for itself? I did not call to refrain from using this software or any similar one. I said we have to find an easier and safer way to enter, and this (as I wrote) by fingerprinting! On the contrary, I am waiting to hear your reactions and ideas about this idea. Won't it be smarter and easier to let you enter the vault with your personal fingerprints, rather than typing time and again a long and complicated password? Some top password managers already "let you authenticate on iOS or Android with your fingerprint or face rather than typing the master password. Most include some form of two-factor authentication, be it biometric, SMS-based, Google Authenticator, or something else entirely". vince brennan, Speak for yourself! Don't pretend to know about "people" as a whole (7 billion plus) based upon your limited experience of a few hundred or thousand customers that by needing a service technician have proven they are wanting in terms of data and computing best practice! That does not make them simpletons it makes them untrained or poorly trained. Just like you in other areas of knowledge and wisdom that you've never looked at or been educated in. Jay Shell, if you use fingerprints instead of passphrases in most cases they can be spoofed from your fingerprints left on glasses or surfaces and printed to overlays using a 3D printer. That is a the good and nice way to defeat fingerprint protection... the not so nice way to defeat finger print protection is if the percieved value of the protected content is great enough you can be coerced or forced into using your fingerprints or even have your fingers removed and used to gain access without your assistance at all. I'd suggest that if you have data or credentials to protect of such great importance and interest to others that you don't waste your time on a site such as this and hire some developers to design you a bespoke security system that does not expose or display its authentication method to an attacker so they don't know how to force access rights out of you. Of course I would never post publically any further ideas on how such a system could be designed and implimented as that would defeat the potential obscurity of how one authenticates in a stealthy manner. Jay Shell, if you use fingerprints instead of passphrases in most cases they can be spoofed from your fingerprints left on glasses or surfaces and printed to overlays using a 3D printer. That is a the good and nice way to defeat fingerprint protection... the not so nice way to defeat finger print protection is if the percieved value of the protected content is great enough you can be coerced or forced into using your fingerprints or even have your fingers removed and used to gain access without your assistance at all. I'd suggest that if you have data or credentials to protect of such great importance and interest to others that you don't waste your time on a site such as this and hire some developers to design you a bespoke security system that does not expose or display its authentication method to an attacker so they don't know how to force access rights out of you. Of course I would never post publically any further ideas on how such a system could be designed and implimented as that would defeat the potential obscurity of how one authenticates in a stealthy manner. Liviu, Does it store files too? Chuck, yes, you can backup locally, however the goal is not to open the file locally. 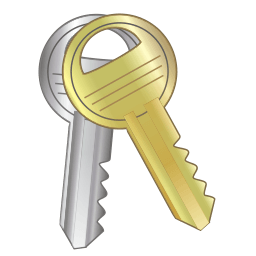 Keepass is always free! Almost the same funtions! Hadrianus, Never heard! There is only one version, free version, but you can donate. It's under GNU open source. Svend Östergaard, all browsers have this function built in (Maxthon is best) so why have any external one? Jim B, it is not safe to save passwords in browser. For example, chrome protects password just by a Windows login, so any software on your computer can read all stored passwords. 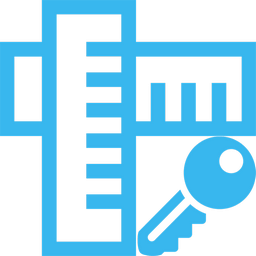 External password manager is a safe way to store passwords. Jim B, There are also passwords and archives, * .tc files (containers), and "Anvide Lock Folder" ("Anvide Seal Folder"). Svend Östergaard, Does it store files too? Jim B, It takes me less than 30 seconds to get all your stored passwords from any browser you use without any need of a password all that is required is your pc is on and access to it either via hacking or actually sitting on it no browsers are not safe. Jim B, Probably better security. Chuck, No, but there are good programs that do. I have a stove that I cook my food on and I have a vacuum cleaner that I clean my floors with. I would never want to get a vacuum cleaner who cooks my food too! Svend Östergaard, You stated "all browsers have this function built in (Maxthon is best) so why have any external one?" That is why you use an external one, to store files. To use your example you have a wallet to store your cash but you would use a safe or bank to store sensitive documents. But maybe you wouldn't and just let them lay around anywhere. Svend Östergaard, You stated "all browsers have this function built in (Maxthon is best) so why have any external one?" That is why you use an external one, to store files. To use your example you have a wallet to store your cash but you would use a safe or bank to store sensitive documents. But maybe you wouldn't and just let them lay around anywhere. Chuck, Problems with reading comprehension? It was Jim B who declared that! Not me! Chuck, Problems with reading comprehension? It was Jim B who declared that! Not me! Svend Östergaard, Well EXCUSE me for getting the wrong person's comment but I don't see how comparing a stove to a vacuum cleaner has any relationship. Chuck, Ever heard about a metaphor? Chuck, By the way! You will not get any more comments from me, unless it's about today's giveaway or my comment about Keepass. This is not Facebook! Jim B, why have an external one? because most browsers and programs that store login credentials use a weak system as it is an ancillary function solely designed to make login easy and automatic not the sole reason it exists being to keep credentials safe and secure. Svend Östergaard, you might if you had very limited living space so need devices to take on multiple functions! Or in this case the two functions were similar like storing login credentials securely and securing files securely... would be metaphorically similar to an oven and fruit dryer OR a wet and dry vaccuum cleaner... similar but different functions.